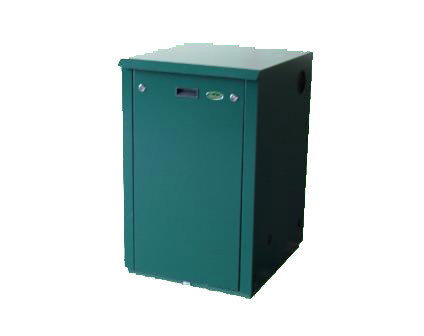 The Mistral Outdoor System Boiler provides a workhorse solution to heating installations. 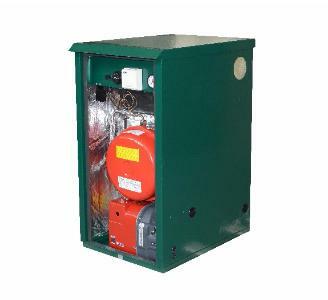 The boiler is fully insulated in a weather resistant casing that is zinc phosphated for optimum corrosion protection and then polyester coated in a highly durable green texture finish to allow the unit to blend naturally with foliage and other external surroundings. All outdoor models are fitted with a frost stat. The Mistral Sealed System boilers are supplied with the necessary components required for direct coupling to a pre-installed water heating sealed system. The boilers are equipped with a circulating pump, 12 litre expansion vessel, safety valve, pressure gauge and an automatic air vent.